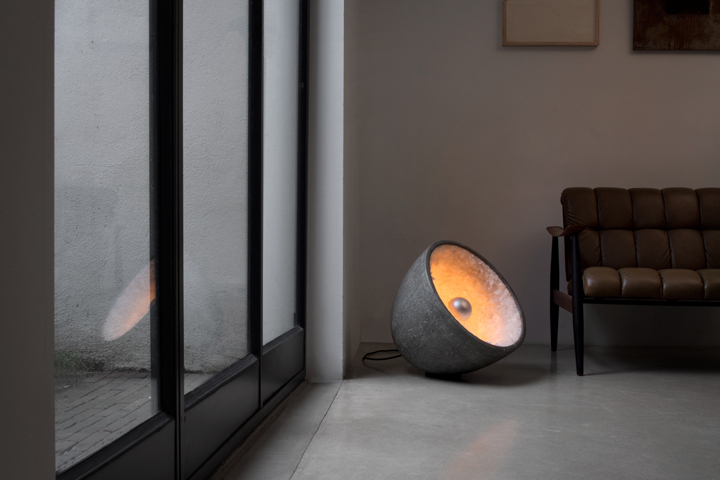 Miklos Leits, Hungarian architect-designer in partnership with Pieter Kout designed a set of gorgeous sculptural lamps entitled Ovalit with the purpose of heightening ambient frames of mind. 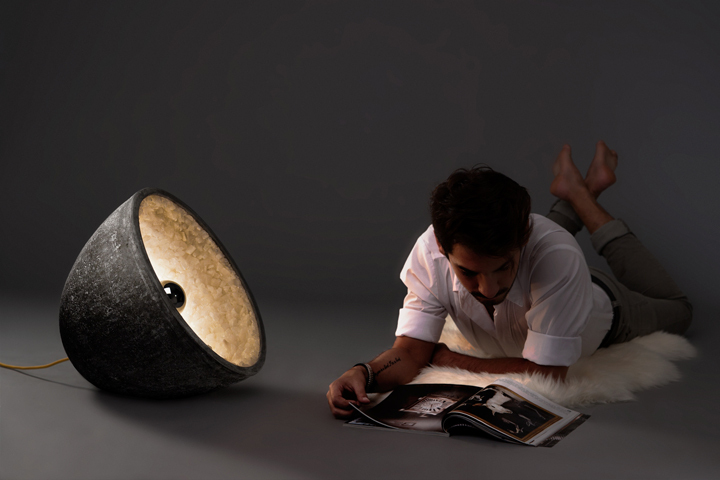 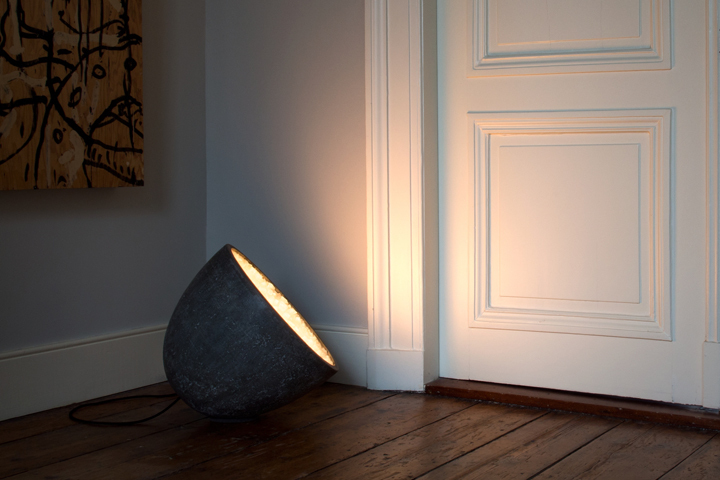 The lamps are using powerful tactile materials and the light generated is mellow and broad. 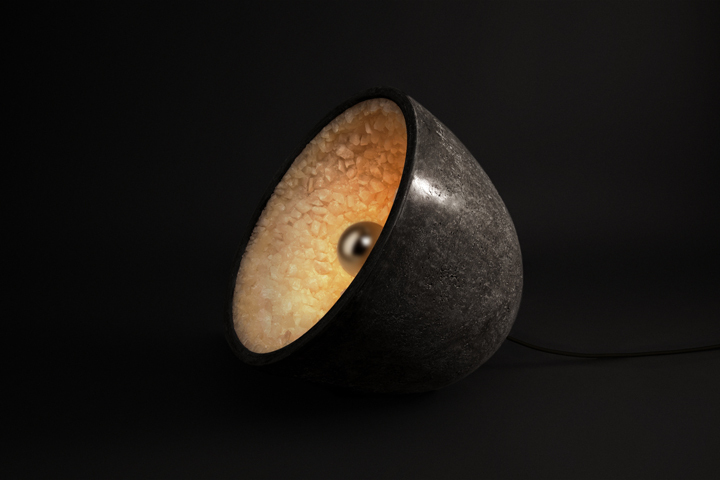 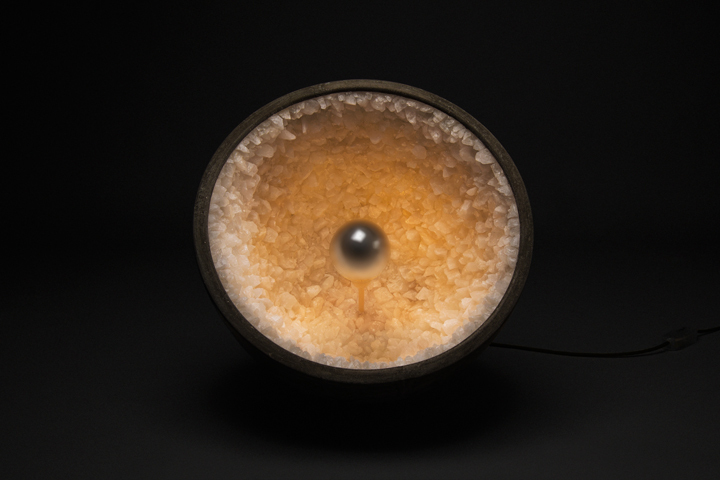 The form of the Ovalit is inspired by a thousand year old phenomena named a geode, whereby crystals form inside the cavity of sedimentary and volcanic rocks. 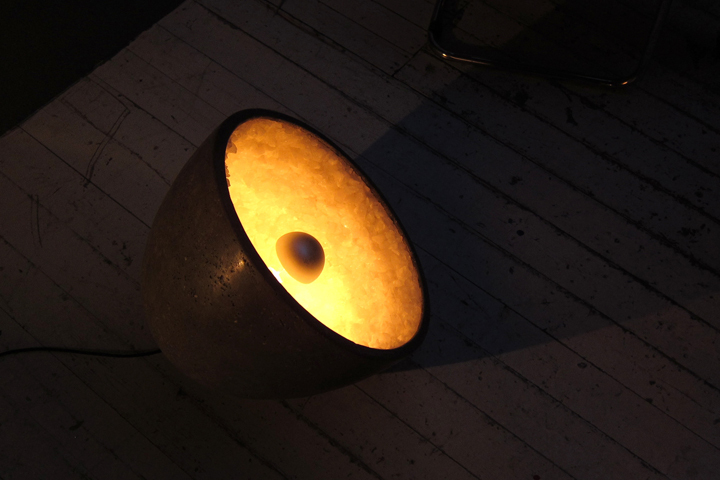 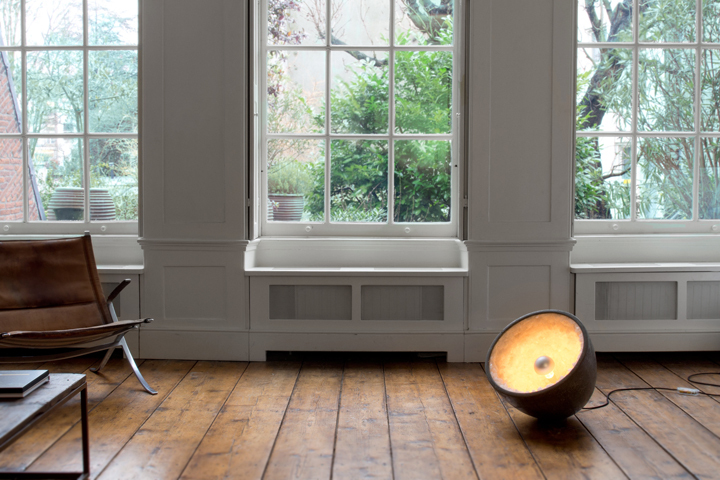 The light it can be accustom from velvety white light to a deep golden glow. 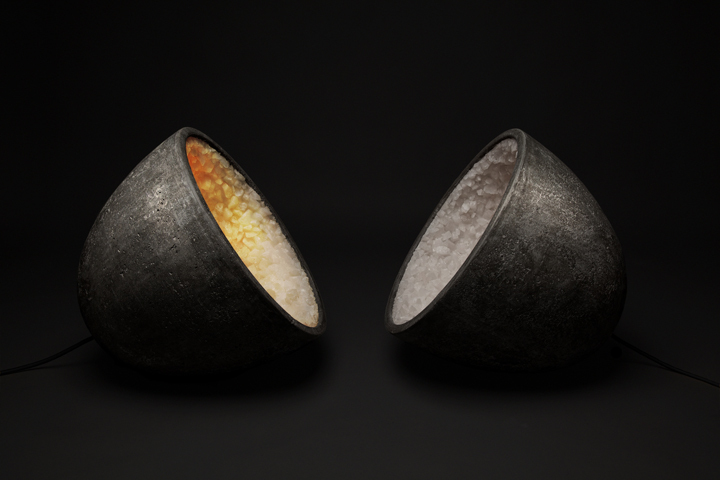 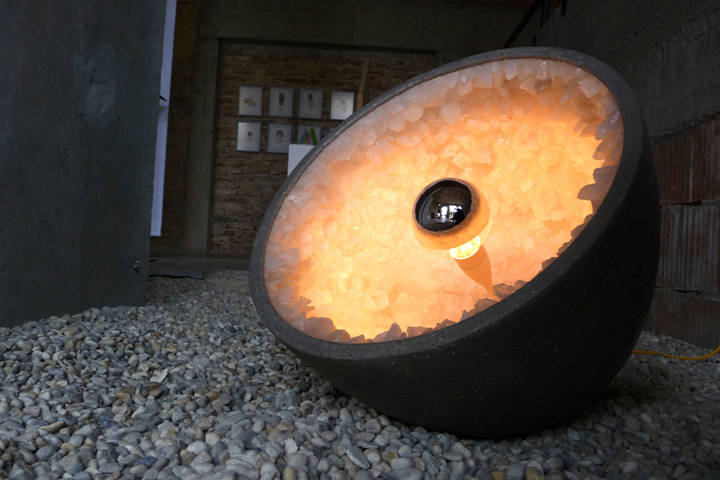 A contrast is being noticed between the soft light reflected in the crystal filled crater and the hard materials used. 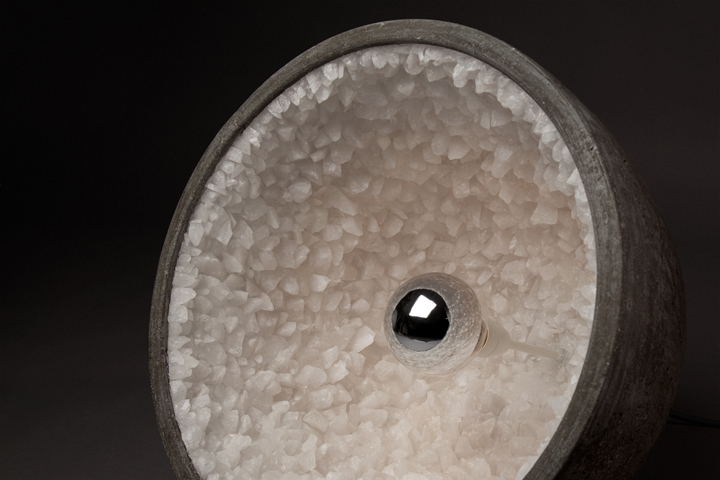 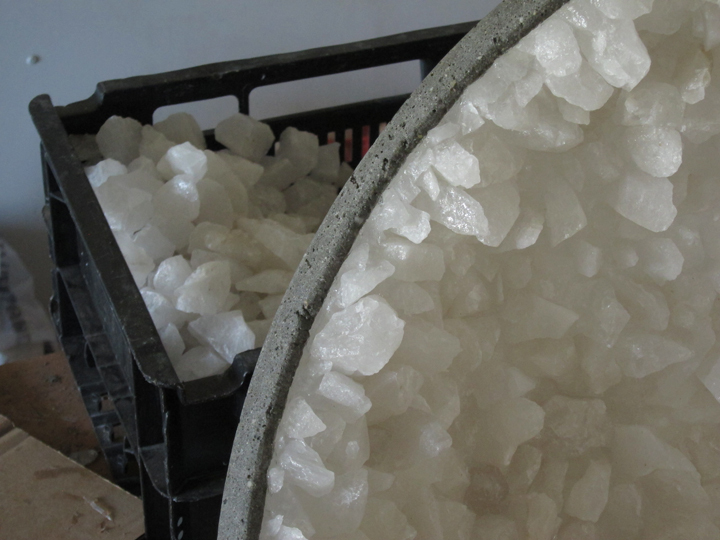 Each Ovalit is exclusive due to the independently hand-placed crystal pieces originated from Brazil. 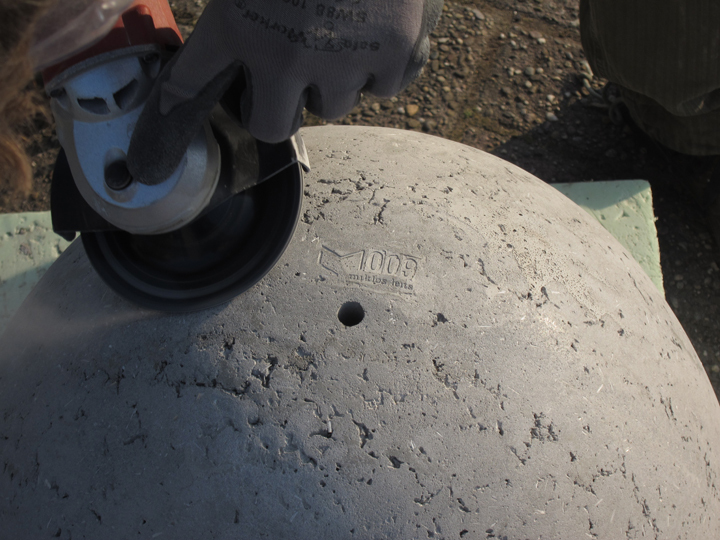 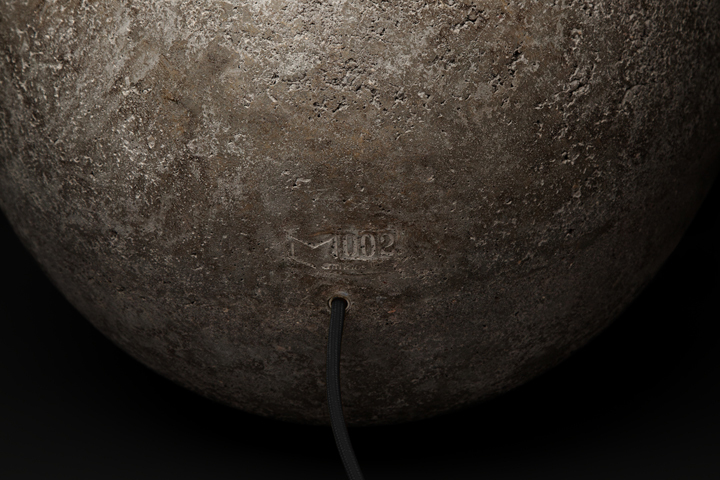 Every Ovalit of the 50 piece miniseries is carved with a unique serial number on the composite shell to guarantee its originality.